1 - 5 PM Optional tour - Spring Grove Cemetery and other points of interest, details coming soon. 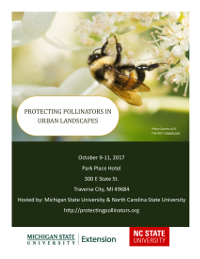 Schedule, speakers, sponsors, posters, and resources from the first National Conference on Protecting Pollinators in Ornamental Landscapes. 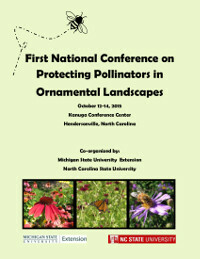 The Protecting Pollinators in Ornamental Landscapes Conference 2019 is planned jointly by Michigan State University, North Carolina State University, and the Cincinnati Zoo and Botanical Garden.